Boone and I celebrated our 19th wedding anniversary a few weekends ago. On the farm, the hay has been baled, the bush hogging done and lambing season has not started yet, so we took advantage of the lull to get away for a few days. Across the Ohio River, near Friendship, Ohio, is the Shawnee Lodge in the Shawnee State Park that we had visited years before and really enjoyed, so that is where we went. 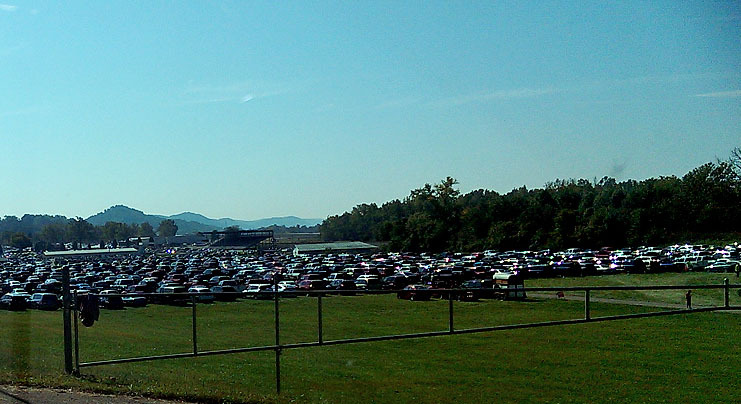 We left early on a Saturday morning, taking mostly backroads from central Kentucky up through Maysville, crossed the Ohio River and then drove along route 52 that runs along the river. Ohio were showing come color so it was a beautiful fall weekend. That area is nicknamed “the little Smokies” and it definitely looked like a smaller version of the Smokies, especially in the mornings when there were mists laying over the hills. We stopped in the state park for a picnic lunch that I had packed before checking in at the lodge. Nothing fancy, just hoagies, potato salad and chips. It was so nice, just talking and watching the leaves fall. 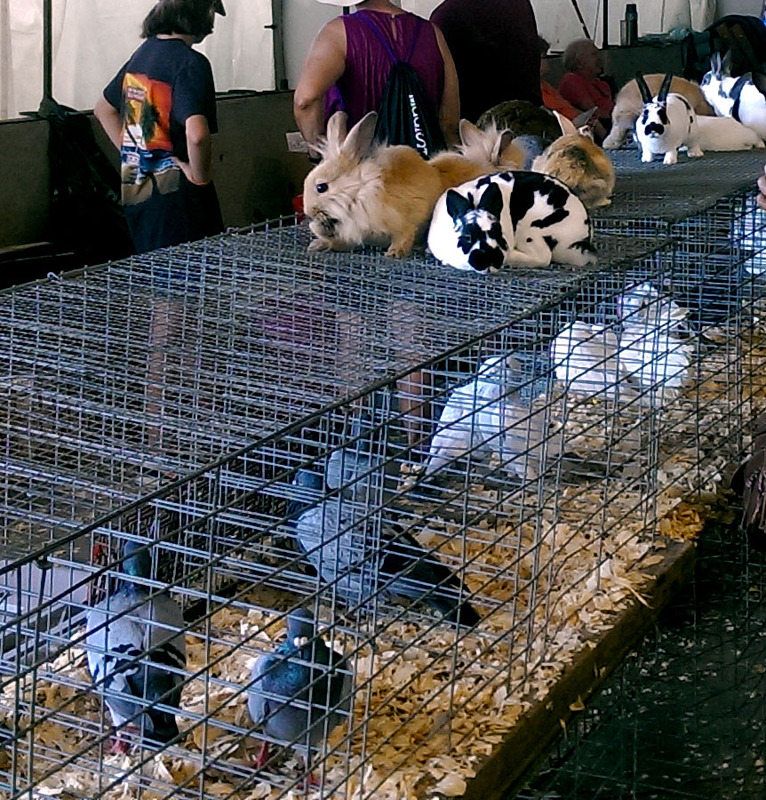 Trade Days was going on that weekend at the Lucasville fairgrounds, so we checked it out. It was huge! We had a lot of fun just walking around and chatting with people. Boone found some leather pieces to use for knives sheaths. The only thing I purchased was a few pounds of very inexpensive pecans – $3.00/lb! Twenty some-odd years ago when I was still in southeast N.C. I was paying $2.00/lb. We took our time driving back home again on the backroads; stopping here and there at little stores, and roadside stands; whatever caught our fancy. It was such a great weekend! 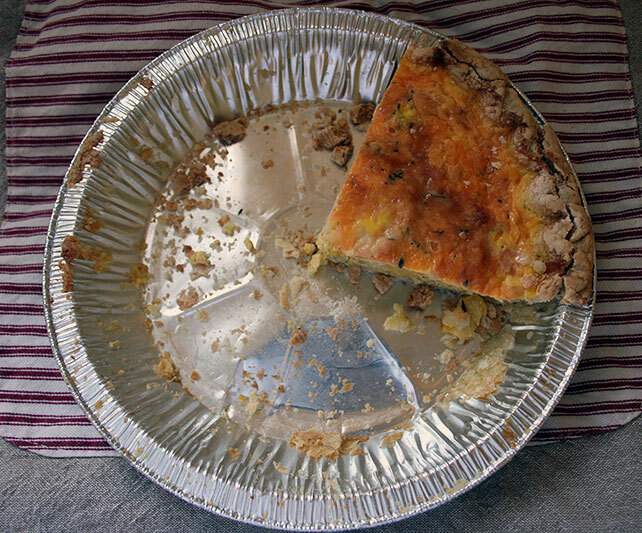 When I got back home, I pulled some summer squash out of the freezer for a quiche recipe I had been wanting to try. I had a piecrust in the freezer that I used but homemade crust would be awesome in this recipe. It turned out really well. Boone and son both gave it a big thumbs up. The original recipe is here but I adapted it for our tastes. 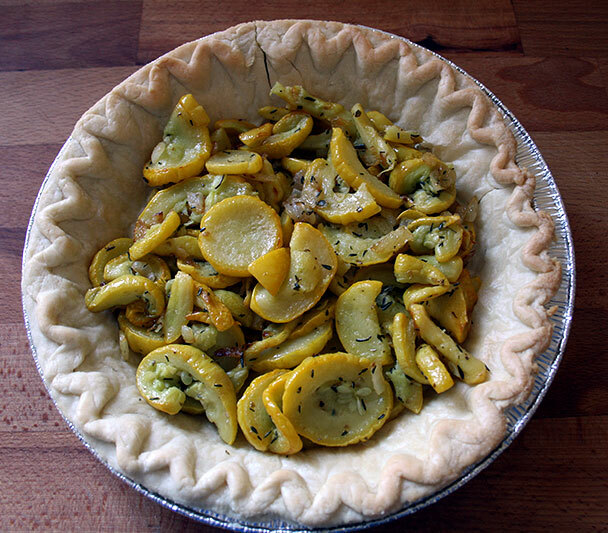 So tasty and a wonderful way to use up some of those summer squash. I love herbs but the thyme and marjoram can be changed to different herbs or left out but the quiche will not be as savory if omitted altogether. Melt 1 tbsp. of butter in a saucepan over medium heat. Add onions and cook until lightly browned. Add remaining 1 tbsp. of butter, let melt then add squash, half of the thyme and half of the marjoram. Continue cooking over medium heat until squash is starting to brown. Cool to room temperature. In a bowl, whisk together, the eggs, half and half, remaining thyme and marjoram, salt, and pepper. Place cooled piecrust on baking sheet. 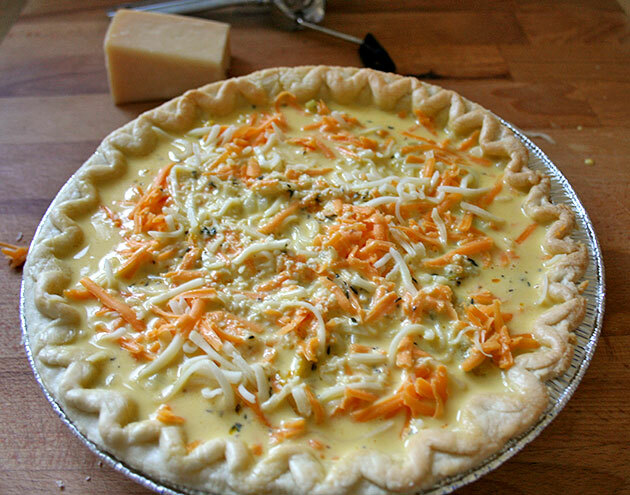 Layer the following in piecrust: first squash mixture, then mozzarella cheese then sharp cheese. Pour the egg/herb mixture over the filling (I had a bit too much). Reduce the oven temperature to 350. Bake the quiche for 35 minutes or until it sets in the center(test with knife).